$60.8 - Blending two top trends, this brand new arrival from Truly Me is a chic look she will love. 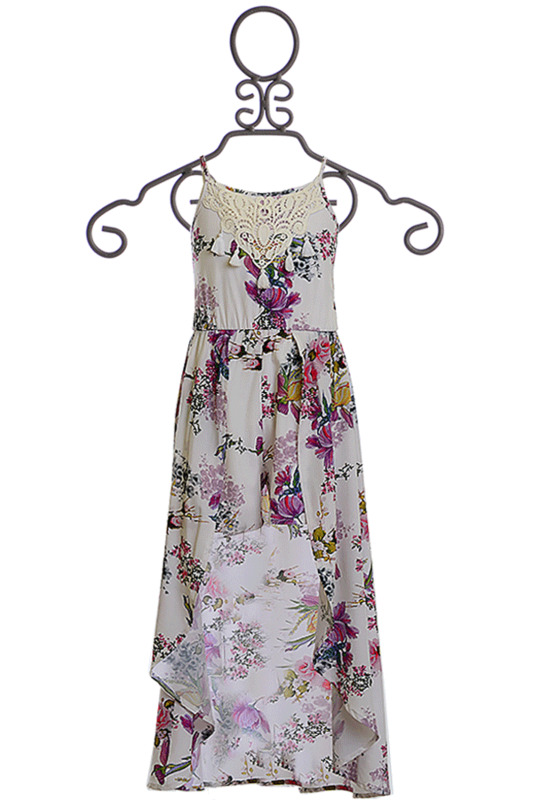 The gorgeous floral print is filled with sweet blooms and covers the entire dress. The bodice has a crochet trim yoke and thin adjustable straps. The romper style falls to classic shorts for her comfort. A skirt wraps around her waist to create the wow factor!